Reepham Town Council has revised its support for the proposed mixed-use development of the former station yard off Cawston Road/Stony Lane, Reepham. The plans include a care home, assisted flats and bungalows, a Co-op convenience store and office space. Town councillors had earlier supported in principle the original planning application, noting a number of concerns raised by residents, particularly regarding the care home. 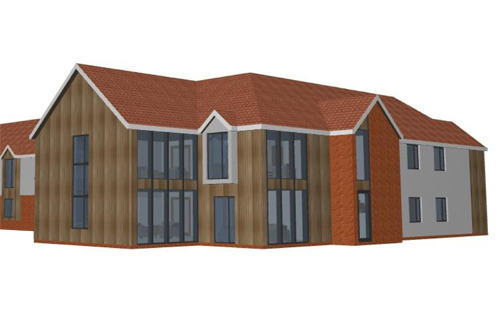 The developer has since submitted a revised planning application, which reduces the size and height of the proposed care home, among other amendments. Although the plans indicate a widening of Stony Lane and the creation of a new footpath on land within the site ownership, it is proposed that delivery vehicles to the convenience store will enter via Cawston Road to a dedicated delivery area and exit via Stony Lane. 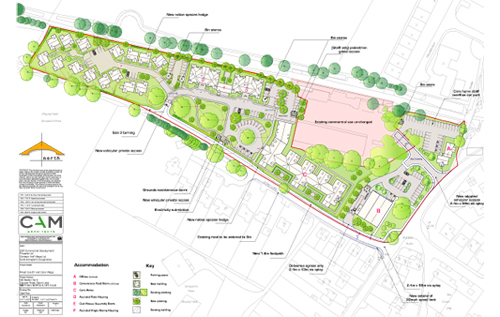 In addition the gated entrance to the care home and assisted-living residential village would be located further down Stony Lane. At last night’s Town Council meeting (14 November), councillors agreed the proposal was not in accordance with Broadland District Council’s current local plan, specifically the Site Allocations Development Plan Document (DPD), adopted in 2016. This document indicates that vehicular and pedestrian access for the former station yard site should be from Cawston Road, with possible pedestrian access from Stony Lane, which conflicts with the current proposal. Stony Lane resident Cllr Mark Lester pointed out that articulated delivery vehicles exiting from Stony Lane into the junction with Station Road would have limited visibility, particularly if cars are parked on either or both these roads. Councillors also had continuing reservations about the size of the care home and assisted-flats buildings, as well as the lack of information concerning the sewage system for the site. In a key amendment the Town Council changed the wording of its comments to support in principle to “development” of the site, rather than “the development” under consideration. As Norfolk County Council’s highways department has yet to submit a report regarding site access and traffic issues, it is likely the revised application will not be discussed by Broadland District Council’s Planning Committee until 9 January at the earliest. At the Town Council meeting, residents also questioned the need for another retail outlet in Reepham, given the potential “conflict with existing traders” in the town centre and ongoing efforts to build a Co-operative convenience store on the former Reepham Motors garage on School Road. Broadland turned down this planning application in May, but the developers have appealed the decision. Also at the meeting, a new councillor was co-opted: Hayden Key, who previously served on the Town Council in 2015-16.